Having been born and raised in the Harrisburg area Tony has a thorough knowledge of Central Pennsylvania and its many communities. 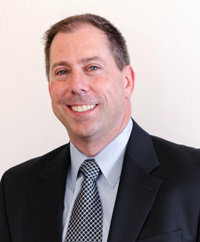 Tony comes to Real Estate from a successful career as a business owner and medical sales professional. Tony’s business background and attention to the details allow him to provide his clients with the highest level of service. Tony enjoys assisting his clients in their pursuit of their dream home. With his many years as a business owner, Tony brings strong interpersonal skills and resolute dedication to serving his clients best interests. As a Buyer’s Agent, Tony looks forward to working with individuals and families through the entire buying process providing them with honest, ethical and professional expertise. He is a part of the National Association of Realtors, PA Association of Realtors, Greater Harrisburg Association of Realtors. Irvette is a problem-solver. She comes alive in the investigative part of Real Estate. Irvette has a true skill for helping families find the right property for their needs and making them feel as comfortable as possible along the way. Irvette's background runs the gamut from legal to banking, IT consulting and programming, training and real estate development. She also previously ran her own business involving horse training and riding lessons. Irvette married a Brit that she met while working for Peter Paul Cadbury. Together, they have 2 sons, Liam and Devin, as well as a cat, a curly coated retriever, a mini rabbit and 2 Arabian horses. Irvette and her family moved to Central Pennsylvania in 1989. They currently reside in the Hummelstown area. If you ask Irvette, Central Pennsylvania is a wonderful community to raise a family. The people are friendly and the community is welcoming. Irvette loves all things equestrian! As President of the PA Arabian Horse Association, she is responsible for overseeing 6 districts and over 20 officers as well as the programs for its members. She frequently attends both state and national shows. Irvette is also currently the Treasurer for the Lower Dauphin High School Band Boosters. She has been involved in several committees for events and fundraising over the past 9 years. As if she wasn't busy enough, Irvette is also involved with PMCA, a confectionery industry group based in PA. She works at their yearly conference, which brings in people from all over the world to discuss confectionary. To call Irvette an efficient multi-tasker would be an understatement! 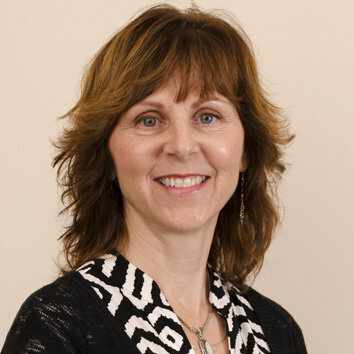 Irvette has used her wide range of skills and her sincere care for the people of Central Pennsylvania to become a trusted Real Estate agent for Joy Daniels. Contact us below for your Central PA Relocation Package!